With the increasing use of mobile phones and messaging apps, our phone calls and meeting in person has reduced to a large extent. Birthday wishes are mostly WhatsApp messages and so are condolences. Are you amongst those who miss meeting people in person? 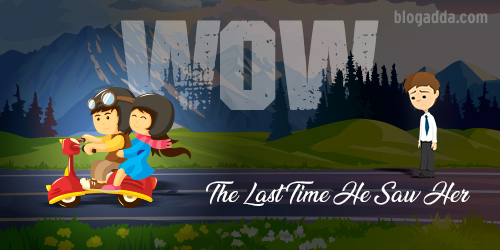 This weekend, we want you to write for WOW using this line ‘The Last Time He Saw Her.‘ You can include this line anywhere in your blogpost. Does something ring a bell in your head? Something that you recollect? Fond memories? Start writing. Publish everything you remember and share your blogpost. Ensure to share your blogpost by Sunday midnight to be eligible and win a chance to proudly display the WOW badge on your blog and social networks. Have a fantastic weekend. Thank you for your entry Sitharaam. The submission for this one, though ended last Sunday midnight. We have a new WOW prompt announced today. Do have a look at our blog and we look forward to your participation. Next PostNext WOW: Take A Walk. Write About The Sounds You Hear.